Abstract: Multiple myeloma is a hematological malignancy whose clone derived from the B-lymphocytes. The bone pain, the anemia, the increased blood calcium, the bone lesions are evocate as the symptôms. Breast cancer is a solid tumor of women often revealed by breast nodules. The coexistence of two malignant clones, one a lymphoid homeopathy, a other, a solid cancer in the same patient is an unusual situation. We report the case of a woman who was 66-year-old with a family history of solid cancer and hematological malignancy, addressed for anemia on breast cancer. She was treated with chemotherapy including adriblastina and cyclophosphamide. The incidental discovery of dysmorphic plasma cell in marrow bone examination led to the diagnosis of multiple myeloma. 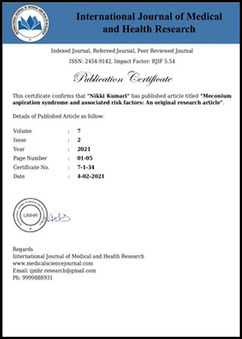 The interest of this study resided firstly in the exceptional character of this association with constituted a first description of the kind in our department and secondly complete the data of the literature wich suggested the role of the genetic factors in the occurrence of neoplasms.